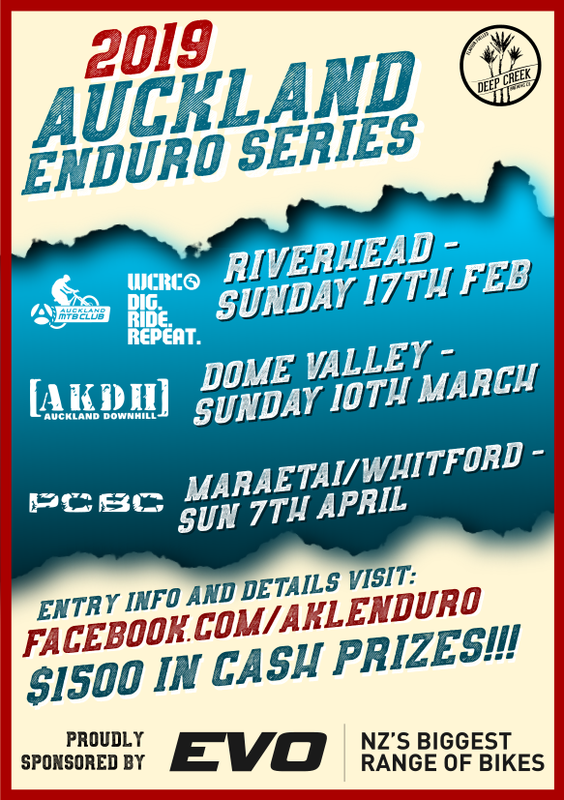 Just a quick reminder that we have the final round of our Endura – Auckland MTB Club series incorporating the R&R Sport XC Champs and the BikeBarn Challenge Series on this Sunday (20th November). We head to the superb Riverhead trails (Barlow Rd entrance, directions here) where we’ve put together a great, and challenging course for you to pit yourself against. The Challenge 30km riders will be set off on their merry way a little earlier than everyone else again this week (10 am sharp) so if you are going to enter in that category, please turn up in good time. Rego is open from 8.30 to 10.00 (9.45 for Challenge 30km). Hope that all makes sense. For every possible detail you could desire, including points and standings to-date by category and overall, check out the event pages on the website. This entry was posted in Misc, News, Races. Bookmark the permalink.